The lumbering, polluting trucks that have collected garbage from French streets for years will soon become a noisy memory once a new generation of super quiet, all-electric vehicles starts making the rounds next week. The zero-emission, made-in France trucks are still large and bulky, but they promise to pack as much punch as their cousins with a vastly reduced impact on the environment and a relatively inoffensive, low humming engine sound. The Paris suburb of Courbevoie, with over 70,000 residents, will receive the first all-electric trucks on May 12. All existing trucks -- which operate on dual electric and thermal motors -- will eventually be replaced by the new vehicles, of which 11 will be in operation by the end of this year, according to SITA France, a subsidiary of waste management company Suez Environnement. "The engineers faced a real challenge of how to make it all work together -- how they would be able to minimize overall electrical usage and come up with the vehicle that we have here," said SITA industrial director, Cyril Fraissinet. In the works for the past three years, the all-white trucks with the words "clean vehicle" proudly displayed on their flanks were developed by French company PVI, which makes electrical vehicles for industry, and Semat, a division of Zoeller that makes collection vehicles. The new generation of trucks operate on powerful lithium-ion batteries made by Dow Kokam, a division of Dow Chemical, that allows them to operate for eight hours without recharging. 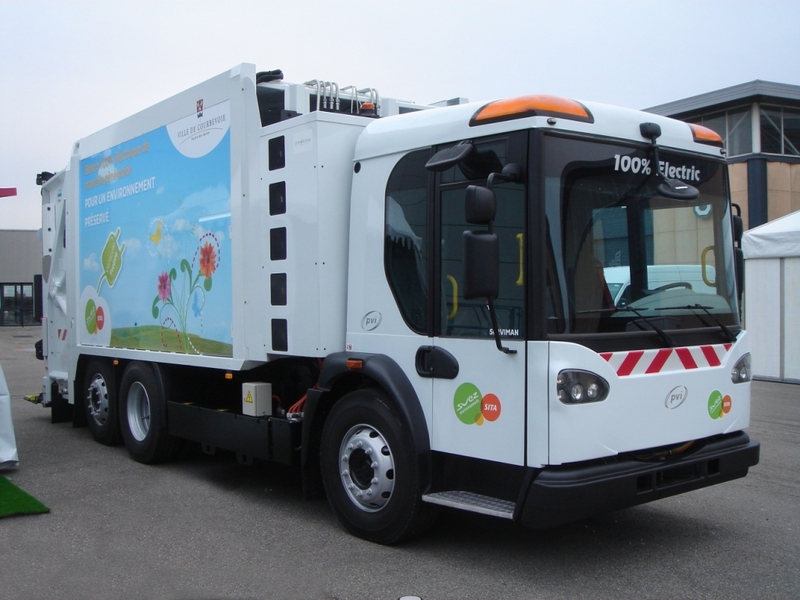 A handful of French cities have experimented with electric garbage trucks in the past, but slow speeds and limited distances stood in the way of a wider rollout, SITA said. The new garbage trucks are fully computer-operated and include a screen inside the front cabin so that the driver can see colleagues working behind the truck.